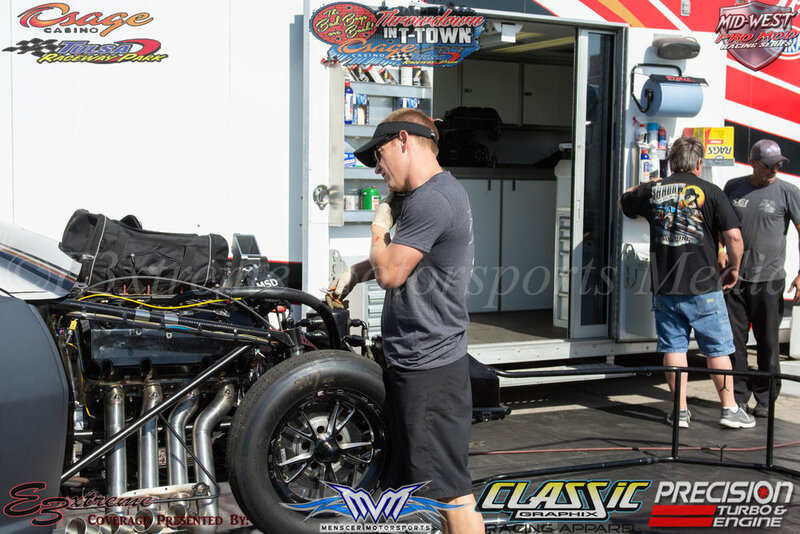 In a move that some may have expected, the NHRA Pro Mod Rookie of the Year last season, and the driver who is only 9 points out of first place Stevie Jackson has announced that Shadow 2.0 will be his replacement for Topeka. Stevie Fast is one of the most well-known names in all of drag racing, whether it’s from the grudge world, small tire radial world, or big tire pro mod. Stevie has made a name for himself by being one of the most unfiltered and colorful personalities out there. Unlike others who try to talk the talk and can’t walk the walk, Stevie has shown that no matter what he drives he wins. Stevie had a nasty wreck a couple of weeks ago in the Bahrain1 Pro Mod during the final quad at Charlotte during the 4 Wide Nationals. After getting out of shape, and being forced to play tag with the wall, the Bahrain1 backed Camaro came to a rest and caught on fire. They were able to put the fire out, but there was enough damage from tag to force Stevie’s hand. He doesn’t have the funding that would warrant having a backup car that he could just pull out of the trailer. 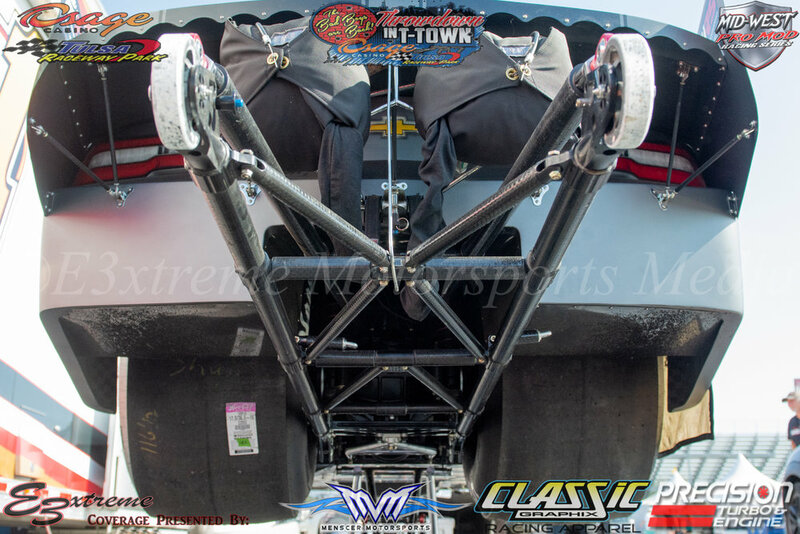 At the ultra-competitive NHRA Pro Mod level, teams do not have a “top tier back-up car” lurking in the trailer. Luckily, there is always Shadow 2.0 which has been quite dominate since making its debut last year. They have gotten used to swapping between radial and big tire with the car as well BUT just for 1/8 miles runs. This was apparent earlier this year when Stevie put on big tires and took the win at the Orlando World Outlaw Nationals, and just weeks later brought the car to Lights Out 9, back on radials and showed the world he could still compete at the top of the field and took home the $50,000. 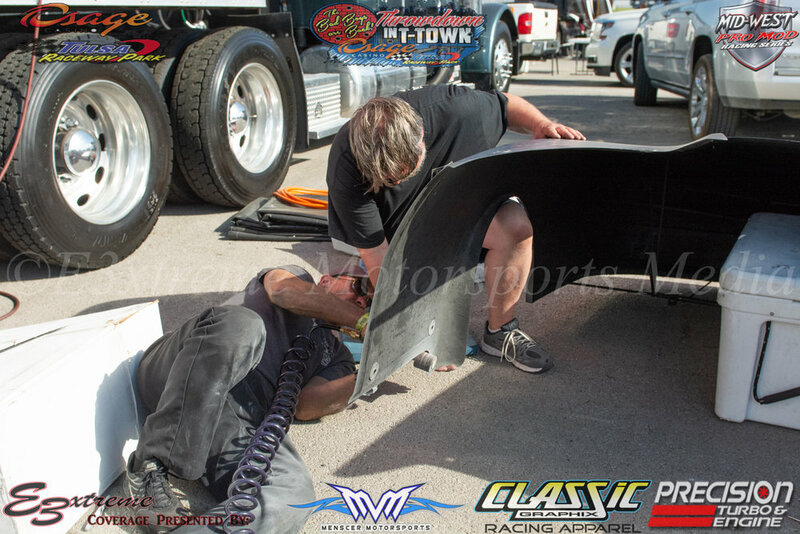 Changing the car over to NHRA trim has been an extensive process. There has been a lot of mechanical, and electronic items that had to be changed over to be able to make it legal for racing in NHRA pro mod. It has been a hell of a thrash to get it ready for Topeka next week. Obviously, weight is one of the first things that had to be addressed, along with some things under the front cap like new headers which required a modification of the front nose. NHRA also requires automatic shutoff on those cars. No screws, of course. So now that Topeka is next weekend, there is no way that Stevie can afford to miss a race to determine what any other options were. He is trailing another Bahrain1 backed car by only 9 points in the current NHRA pro mod standings. Rickie Smith is sitting at #1 right now, but with Stevie’s runner-up finish at Charlotte, he is fighting to capture that top points spot for the first time in his short NHRA career. The plan for right now is to compete with Shadow 2.0 for the next few races, while waiting on getting a new car started on. Stevie isn’t sure if he will have another car before the end of this season, so it may be up to Shadow to take home a NHRA World Championship this season. 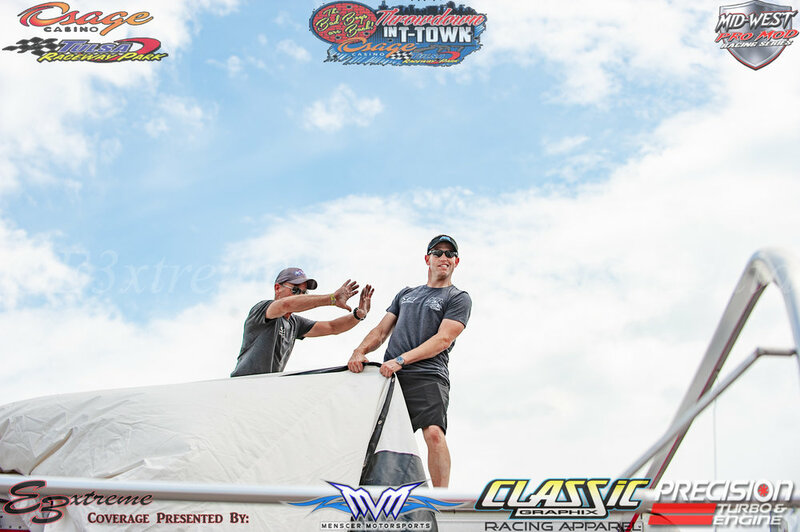 We will see what the rest of the 2018 season brings for Stevie, Jack, Phil, Billy, Robbie, Mark, Tracy Teasley, and the entire KTR world. When it happens we will be bringing it to you.